Facebook founder Mark Zuckerberg says he would welcome more regulation of political advertising on the internet. Speaking for the first time since a controversy began over political consultancy Cambridge Analytica improperly accessing data on millions of Facebook (FB) users, the CEO suggested regulators should address some basic issues. "There are things like ads transparency regulation that I would love to see," he told CNN. "If you look at how much regulation there is around advertising on TV and print, it's just not clear why there should be less on the internet." "I know a couple of senators are working really hard on this," he added. 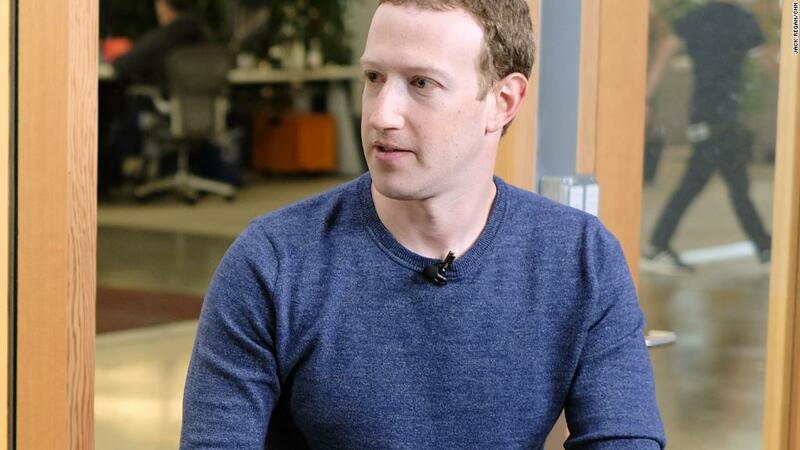 Zuckerberg's comments were quickly embraced by Senator Amy Klobuchar, who is sponsoring a bill that would place new disclosure requirements on digital political advertisements. "Just watched Mark Zuckerberg on @CNN & I was surprised to hear him say he supported the senate bill on election ads. That's my bill — the Honest Ads Act," Klobuchar, a Democrat from Minnesota, tweeted. She also appeared to challenge other big tech companies to get behind the bill. "It's a new position for Facebook & we'd like to get it done before election. Twitter? Google?" Facebook did not respond when asked if Zuckerberg was referring specifically to the Honest Ads Act. The Honest Ads Act has bipartisan support and is also sponsored by Senators Mark Warner of Virginia and John McCain of Arizona. The legislation would require the same disclosures for online political ads that currently apply to television and radio spots. Supporters say that would add protections against foreign interference. "We need regulatory rules, a framework, that shields our elections from foreign money," Klobuchar said last year. "If a candidate or a cause buys an ad on TV, the same rules should apply if they buy it on Facebook (FB) or Google (GOOGL) or on Twitter (TWTR)." There are questions as to how effective this kind of regulation would actually be in combating efforts like those of the Internet Research Agency, the Kremlin-linked Russia troll farm that used Facebook before, during and after the 2016 presidential election. The ads purchased by the IRA would not typically be considered political advertising, because they did not explicitly support or oppose a candidate. The bill as originally introduced would require digital platforms with at least 50 million viewers monthly to maintain a public file of all political ads purchased above a $500 threshold. The file would include a copy of the advertisement, as well as details on the candidate and purchaser. The bill also requires online platforms to "make all reasonable efforts" to ensure that foreign individuals are not purchasing US political ads. Zuckerberg said Facebook is already doing "most of the things" that lawmakers are discussing. The Internet Association, an industry group that represents tech companies, has said that it is open to legislation that improves transparency and helps prevent illegal activity. But it said new laws should not limit political speech. "Proposals that would hold platforms liable for advertisers' claims could discourage platforms from carrying ads from individual citizens or legitimate groups that aren't well known or established," the group said in a policy document. 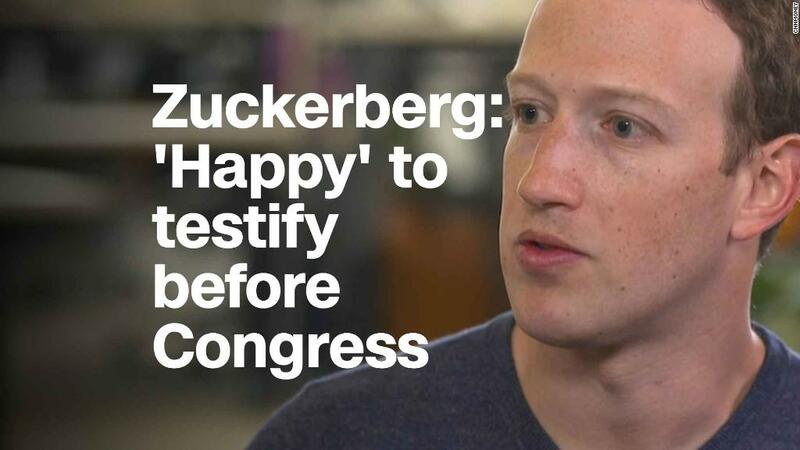 Zuckerberg told CNN he is "sure someone's trying" to use Facebook to meddle with the US midterm elections and that Facebook is trying to prevent that happening by testing new transparency measures, some similar to those called for in the Honest Ads Act, that could be introduced in the United States before the vote. One tool that is being tested in Canada allows users to click on a button and see all ads running on a Facebook page regardless of whether they are the intended target. "People should know who is buying the ads that they see on Facebook, and you should be able to go on any page and see all the ads that people are running to different audiences," the CEO told CNN. -- CNN's Jeremy Herb and Donie O'Sullivan contributed reporting.